Reuben’s Retreat is about making happy memories. They would love for you to join them between 21st and 23rd June 2019 to make some happy memories on this beautiful island that holds a special place in their hearts. Anglesey 23 is a weekend of family, fun, friendship and fundraising. During the days (Saturday and Sunday) we will walk a total of 23 km from our base along the stunning Wales Coast Path and this beautiful island of Anglesey. We’ll be based at the wonderful Tyddyn Mon Farm where we will camp and enjoy live music on Saturday evening. 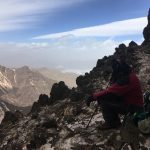 Every step you take on this amazing challenge will raise vital funds to help this charity in their mission to relieve the distress of families who have suffered the bereavement of a child or have a child suffering from a life limiting/threatening illness. 7.30am – 9 am Breakfast (included in Friday night camping option). Tyddyn Mon Pancake House will be open to purchase these. We have limited places for you to join us for the walks only on Saturday, Sunday or both days. Please see ‘The Walks’ tab for details. 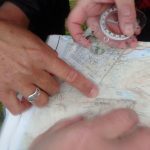 Over the weekend you will be walking 23 km split in to 2 walks. The walks will take you from Tyddyn Mon Farm along part of the scenic Wales Coast Path and back to the farm. Fundraising is encouraged for the walks. Anyone aged 10 and over is invited to join us for this weekend. All under 18’s should be accompanied and supervised by a parent or guardian at all times. You should be confident in your fitness levels to walk 23km over 2 days. You will also need to be prepared to camp in a field with no showers! Please fundraise what you can. 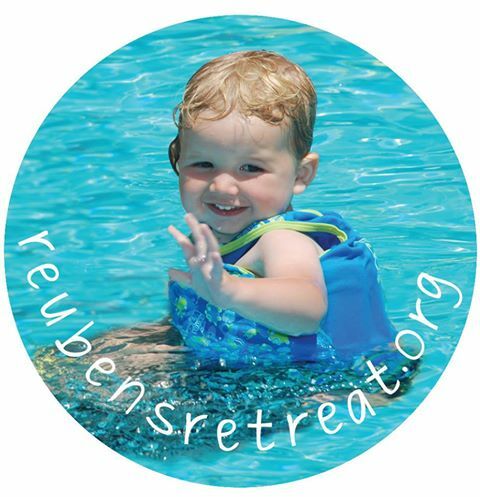 You will receive a fundraising pack form Reuben’s Retreat when you register. We are encouraging sponsorship from the little people as it will be quite a challenge for them. 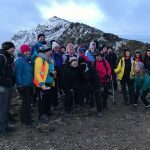 If you are not able to join us for this walk and would like to make a donation to Reuben’s Retreat you can do so by clicking on the DONATE button below.